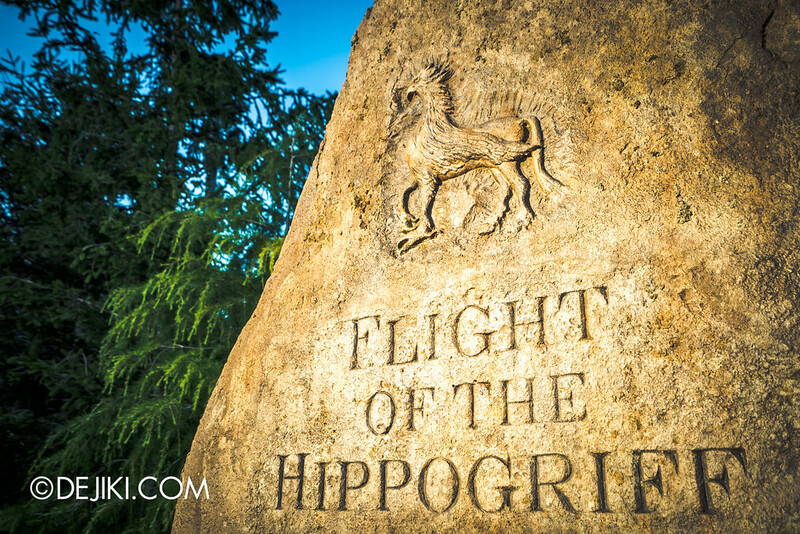 Flight of the Hippogriff is a new attraction built for Japan’s Wizarding World. 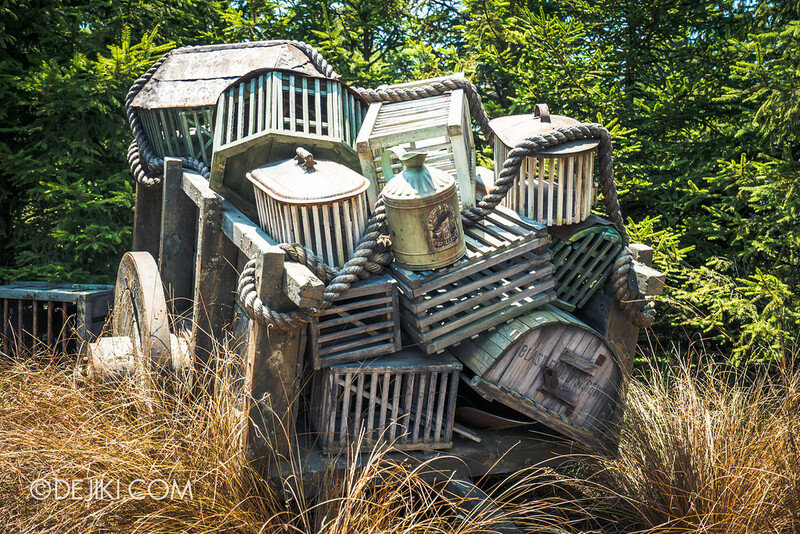 As you walk past Hagrid’s Hut and stumble into a Care for Magical Creatures Class, Hagrid lets you go on a flight on some wicker basket replicas of Hippogriffs. 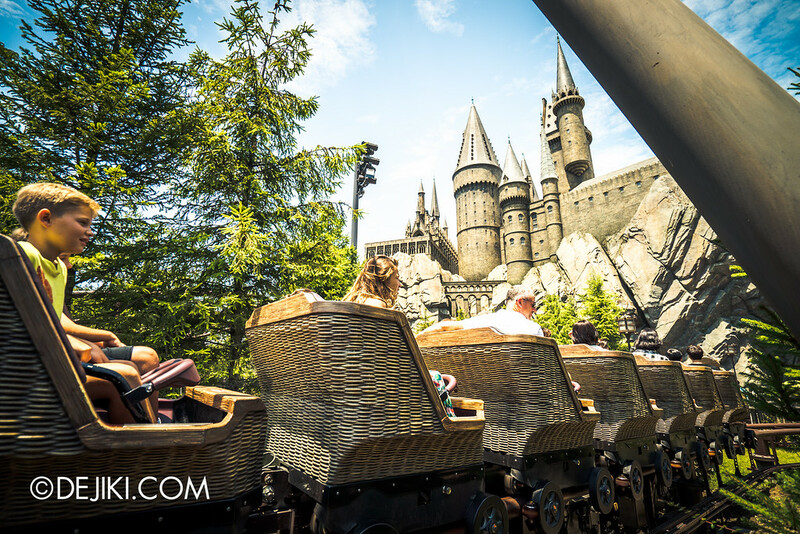 This is a junior roller coaster that is quite similar to Enchanted Airways in Universal Studios Singapore. 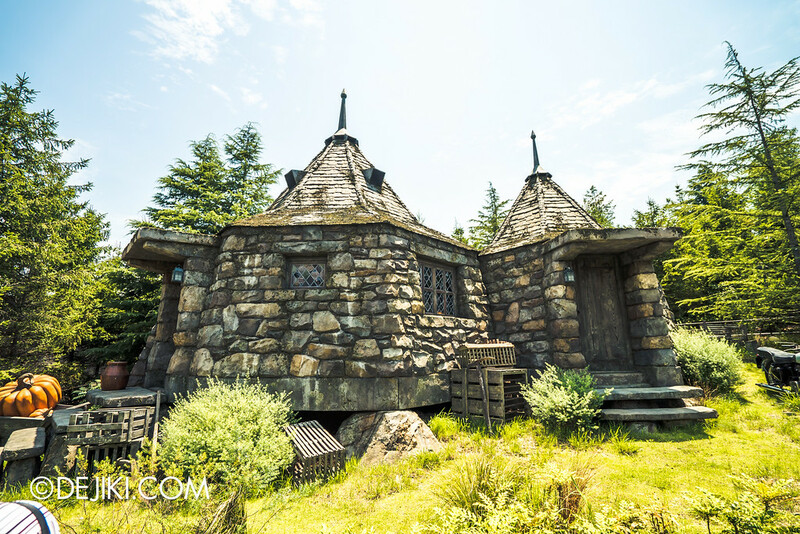 A more family-friendly attraction compared to the one inside Hogwarts castle. 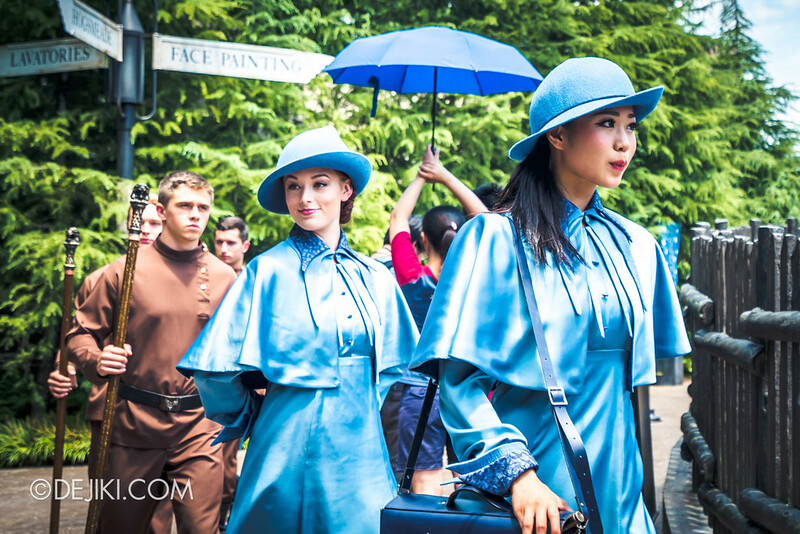 The queue and theming is on another level, though. Still, expect some fast drops and short turns. 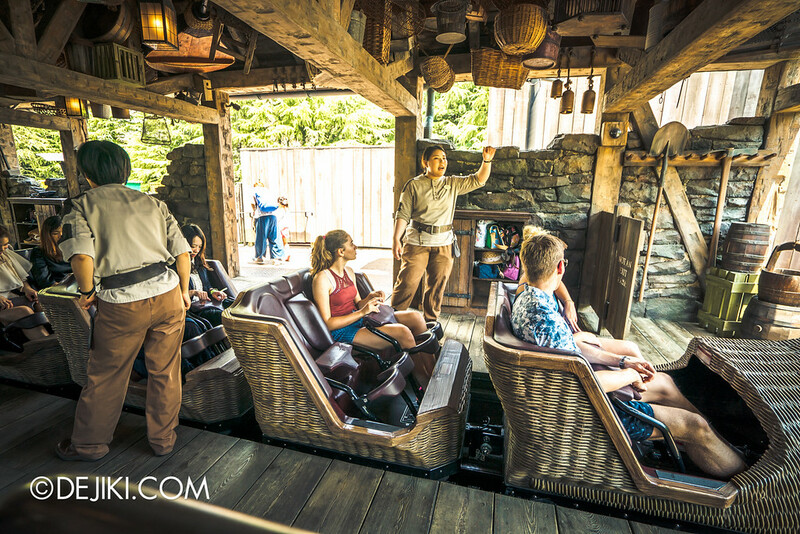 And don’t miss Buckbeak while on the ride! 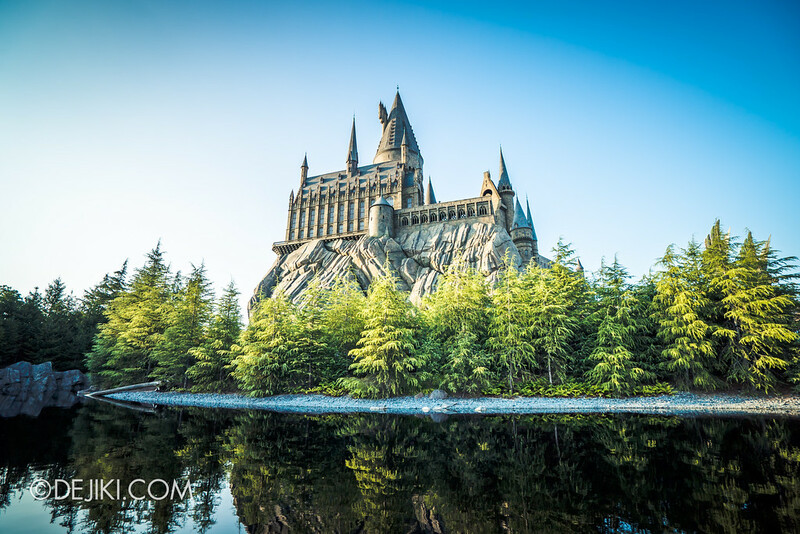 Well, actually there isn’t much space around Hogwarts Castle that you can walk around. 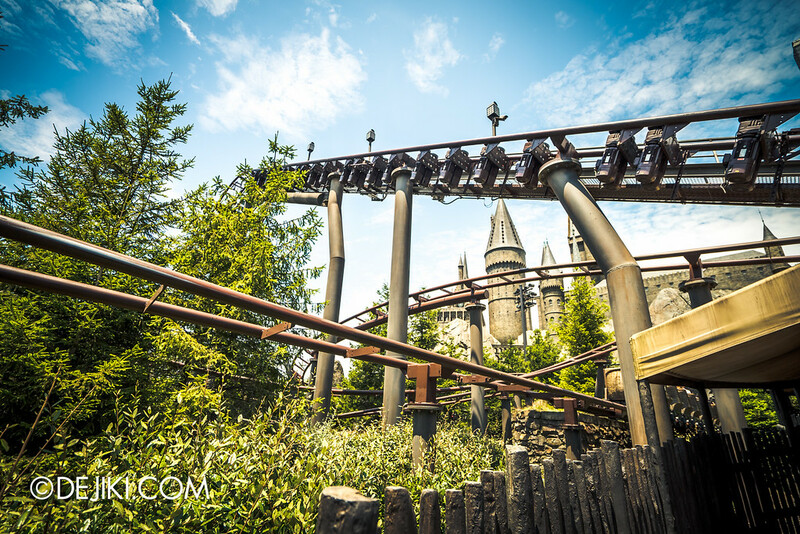 Just beside Flight of the Hippogriff is a face painting activity (extra fees apply), and sometimes you can meet students from Hogwarts and other Wizarding Schools walking to the Hogsmeade Stage for a performance. 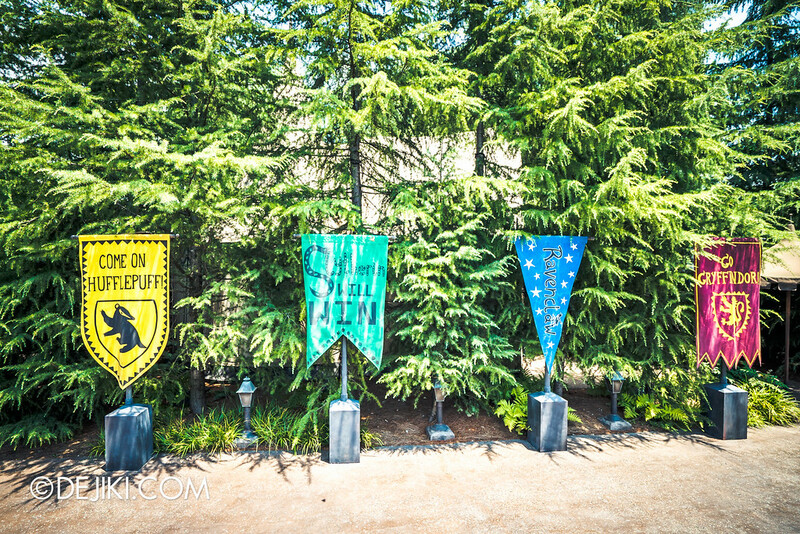 Over here, Wand Studies, Frog Choir, and Triwizard Spirit Rally are performed. 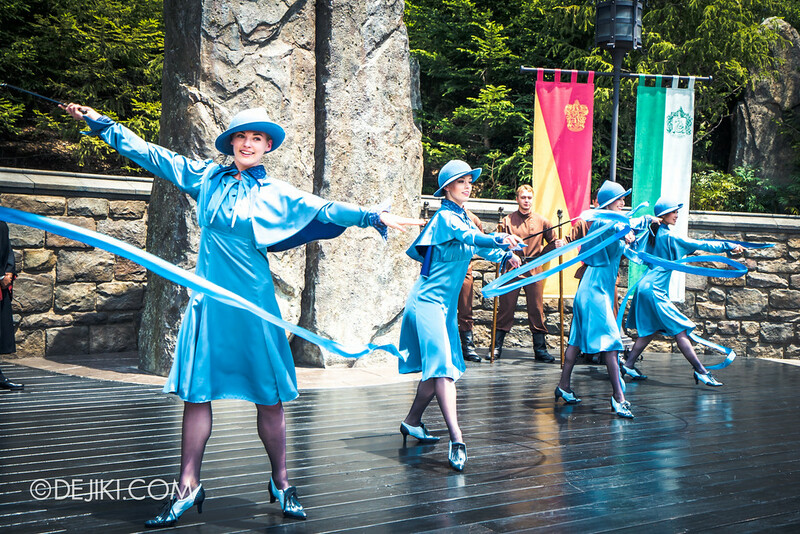 There are also special shows performed seasonally around the Hogwarts castle, such as the Expecto Patronum Night Show. 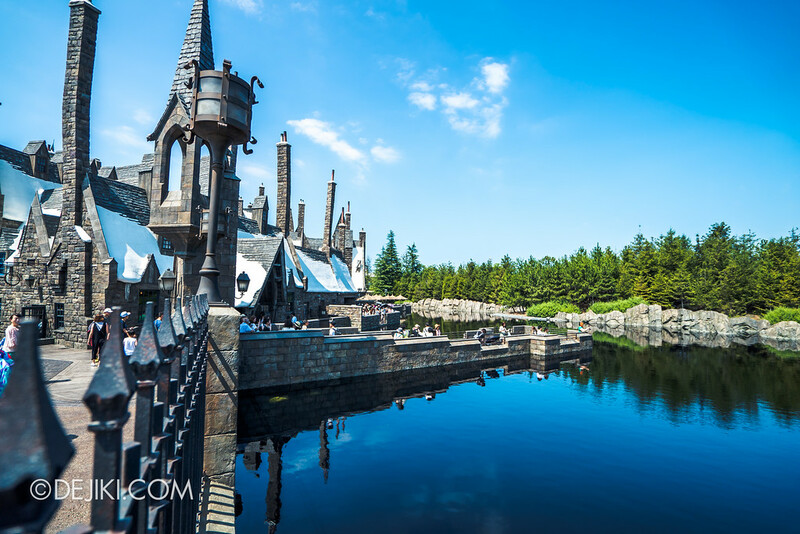 Unique to Japan’s Wizarding World: There is a lake beside the castle, and because it looks so stunning, there’s even an area to take photos. 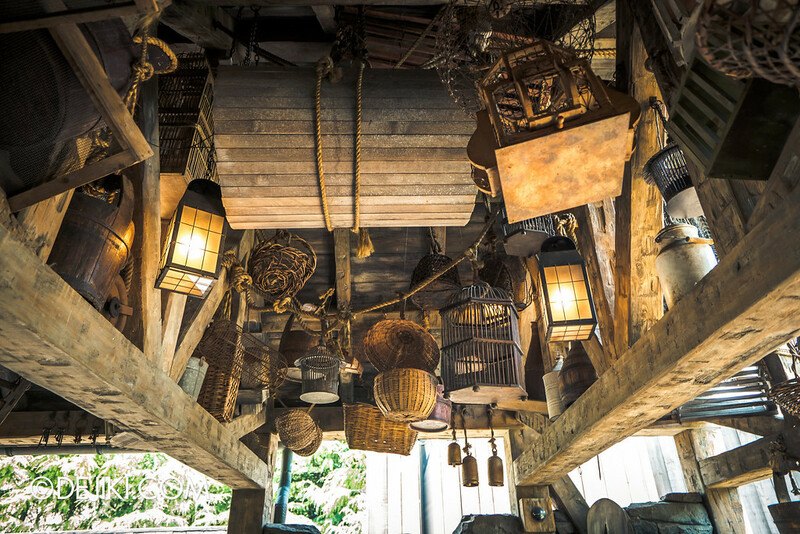 There is one last shop in the Wizarding World, and that is Filch’s Emporium of Confiscated Goods. 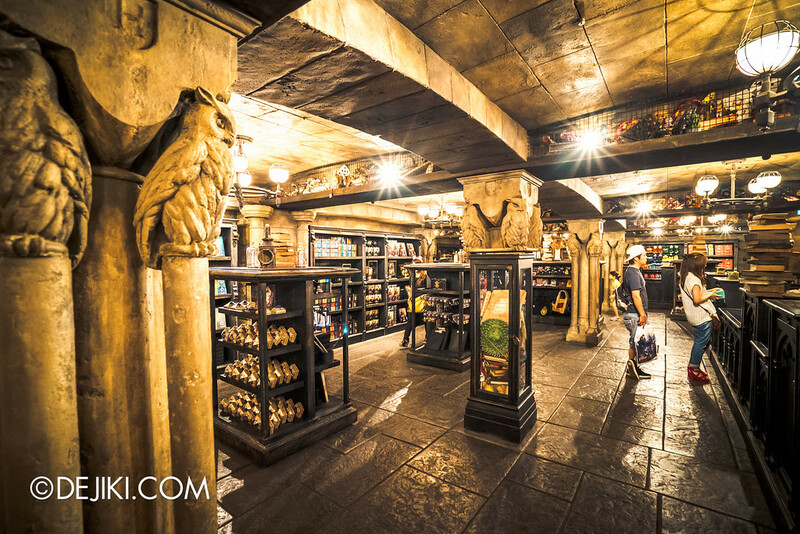 As the next entry would cover the full Harry Potter and the Forbidden Journey queue experience, I’ll leave photos of its ride exit shop here. 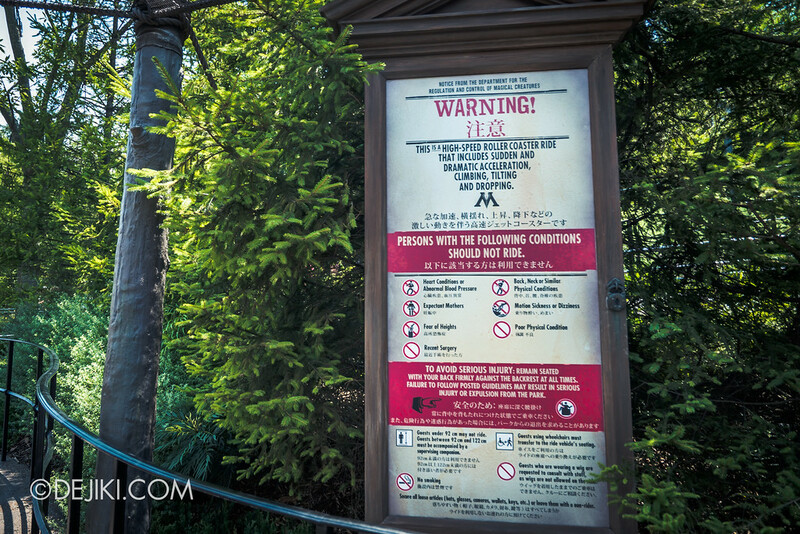 You can buy on-ride photos from the Forbidden Journey ride here too. 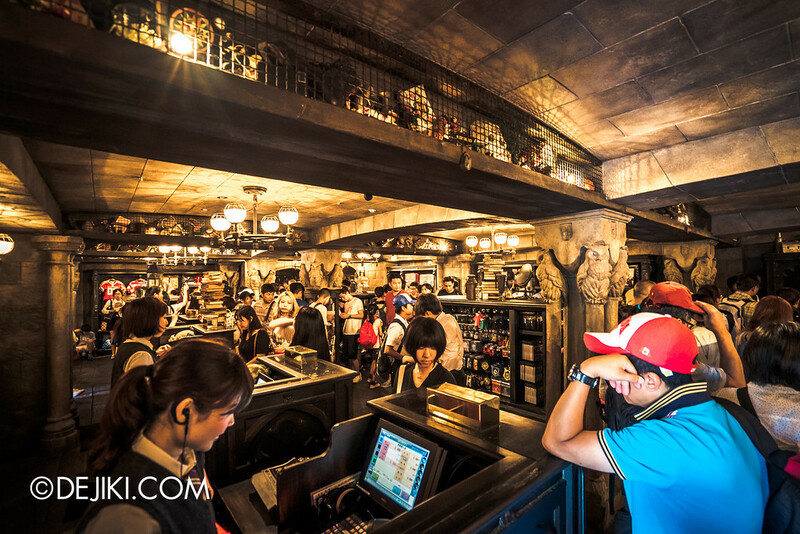 This shop tends to be very crowded most of the day, because people are constantly unloading from the ride. 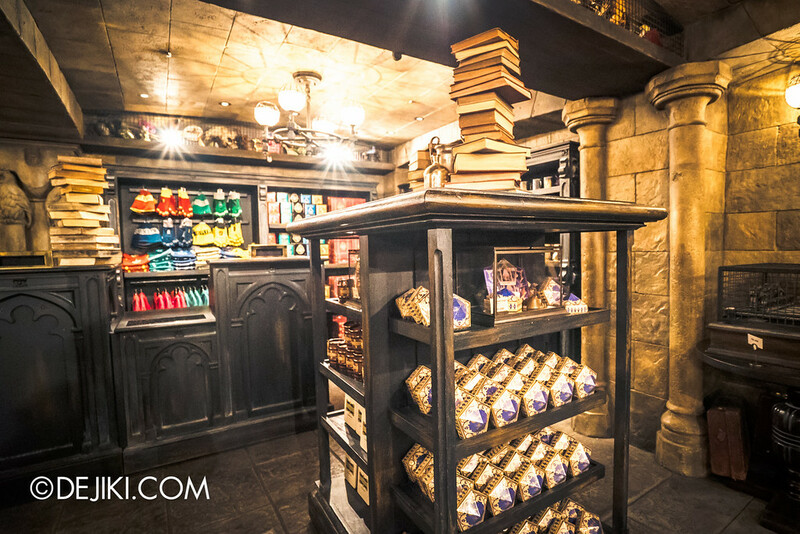 Stocked with Hogwarts-themed merchandise and confectionery, the entire store is designed filled with shelves and cages stuffed with things that Filch confiscated from Hogwarts students. Probably most of them from Fred and George Weasley. 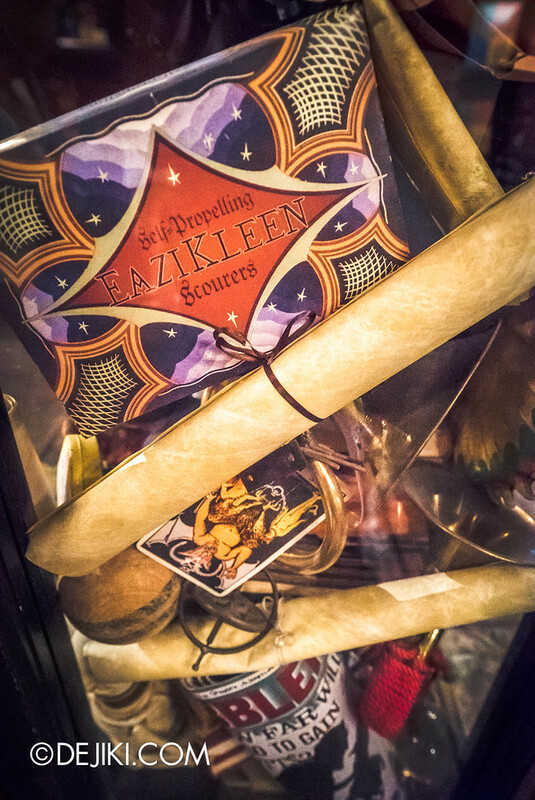 Cookies, chocolate tins are popular souvenirs here. The small tins go for about 1,600 to 1,800 yen (~S$20-22). 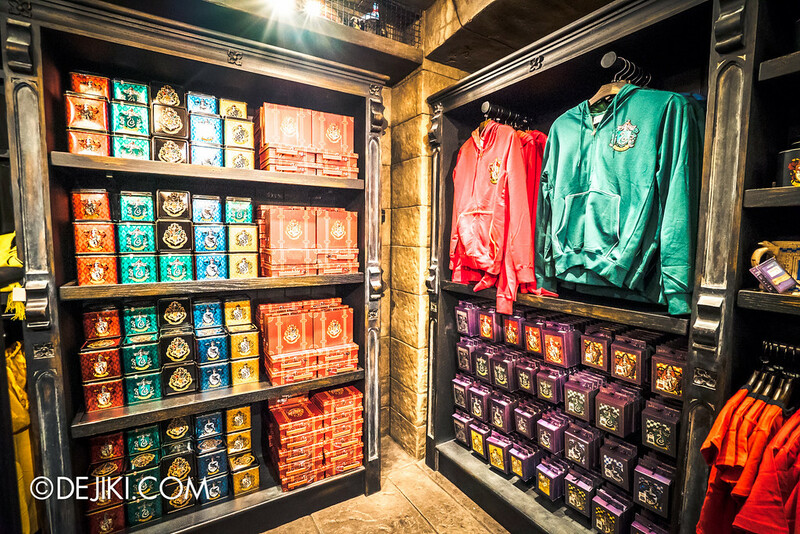 Or you can bring a plush toy of the various magical creatures too. 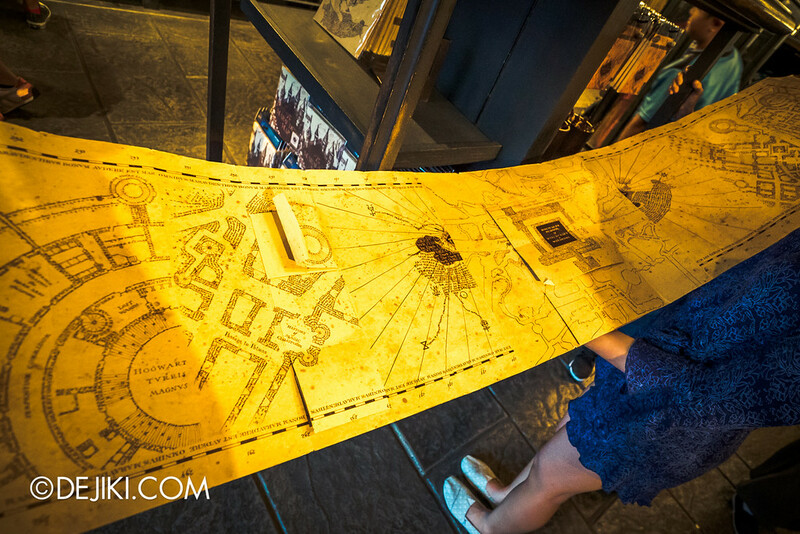 If you know you’re up to no good, grab the Marauder’s Map here for 3,500 yen (~S$44). 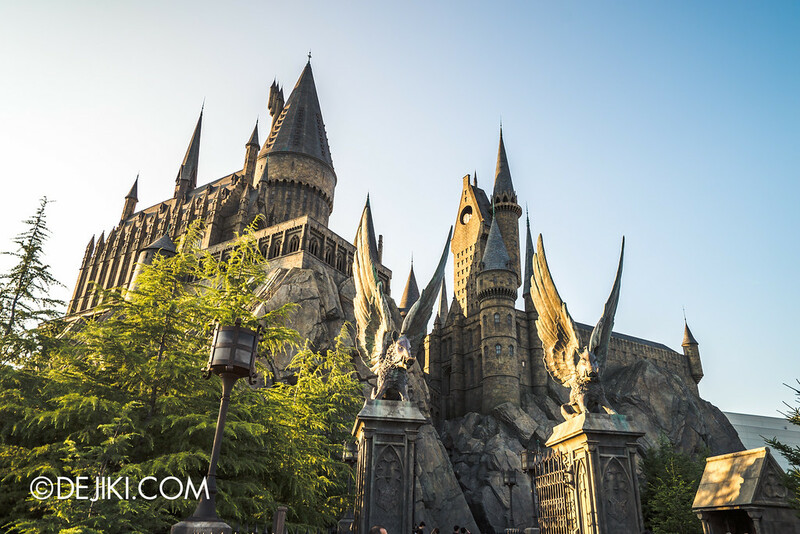 In the final part of the Wizarding World Tour, we will explore its headliner attraction, Harry Potter and the Forbidden Journey.